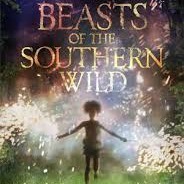 I saw “Beasts of the Southern Wild” with my daughter and it had us both sobbing. We will probably weep again since I’ve ordered a copy of it on Amazon.com — and not just because this Oscar-nominated flick was made by a kid from the neighborhood. Since I really want you to see “Beasts,” there will not be any plot details revealed here. Suffice it to say that this is a raw, poetic tale set amid the poverty of the Louisiana Bayou. It is about the fierce love between a five-year-old girl with an untamed afro, and her ailing daddy. What follows below are remarks from a talk by the filmmaker’s parents that we attended immediately following our viewing of the movie. Even though the two main characters are black, this is not a “black film,” which is such an obnoxious phrase anyway. I agreed with the parents’ description, that “Beasts” addresses the universal challenge of how to stand by the people and places that you love, even if they may not always be safe. “Beasts” is up for four Oscars: Best picture, director, adapted screenplay and actress. When it was made, director Benh Zeitlin was 26 and the star, Quvenzhane Wallis, was five years old. To get into the audition which was for six year olds and up, she lied about her age as she went on to beat out 4,000 other contenders. Now she’s the youngest actress to ever compete for one of those special gold statues. Over the weekend, my daughter Gabi and I joined a couple hundred of our neighbors for a free screening of “Beasts” sponsored by the Hastings Library at the Andrus Senior Residence in our village of Hastings-on-Hudson, N.Y. After the packed viewing, we stayed for cookies, a slice of the huge Stew Leonard’s sheet cake (yum) — and for a talk by the director’s parents, who are locals too. “Our official title is producers of the director,” said Steve Zeitlin as we cracked up. We also got a kick out of Amanda Dargan, who kept taking the microphone from her husband to share delicious, behind-the-scenes details. It was fascinating to hear that their first-born was editing up right up until 24 hours before the project was screened at Sundance, where it received a standing ovation. Proud as they were, they never imagined their boy’s project would win Hollywood accolades. With all that, what more could any parent want for a kid? “Health insurance,” she said as we laughed again. The apple doesn’t fall far from the tree. I was blown away to learn the parents founded a nonprofit that I have long admired: City Lore. As folklorists, their mission is to celebrate New York City — and America’s — cultural heritage via educational programs, exhibitions, poetry workshops, music, movies and more. As parents, they read their kids lots of folk tales and stories. During the talk, it became clear that Mom and Dad’s unconventional passions deeply influenced the director’s vision. Community building is the way to go. Benh graduated from Wesleyan University, where he majored in film studies. The production team is filled with school buddies, including best friend Crockett Doob, also from Hastings, who edited (and is the son of a filmmaker and actress; another example of an apple that didn’t fall far from the tree). Benh and his younger sister Eliza Zeitlin are close too. When she was born, Mom and Dad gave the new big brother a puppet show set. He started out entertaining the baby. Then they staged things together. Later, she was the visual artist who helped out with the animation for his senior thesis, a short film called “Egg.” For “Beast,” she helmed the art department. Meaningful vacations are more important than lavish trips. I wasn’t surprised to hear that folklorists raise kids on a tight budget. “We couldn’t take them on fancy European vacations so took them to what we knew,” said Mom. So they took them to the heart of American music to places like the Mississippi Delta and New Orleans, where the parents conducted oral histories, field work and searched for elderly blues singers in nursing homes. To make the film, he lived in New Orleans for eight months and interviewed locals about their lives. Clearly, the kids learned to appreciate real people and cultural diversity. Working with real people is so, well, real. Remarkable, powerful fact: Every person in the film was a non-actor. Dwight Henry, who plays Wink, the difficult daddy, actually ran a bakery across the street from the production’s New Orleans studio. In order to win the part, he had to establish rapport with his little co-star. “He was famous for making these donuts,” Mom explained to us. When he met his tiny leading lady, he showed up carrying a batch of sweets that had her grinning. Kids must have their space. The parents said that their son took a lot of writing and poetry classes at Wesleyan. I think they got their money’s worth out of that college experience. “Beasts” is an intense, dreamy movie with a non-linear approach to storytelling. So don’t expect a tidy, A-to-B Hollywood logic as the flick progresses from scene-to-scene. Dad said the movie is also an emotionally “darker” vision on things “than our folkoric celebratory take on life.” A natural progression, if you ask me. “Beasts of the Southern Wild” offers me a marvelous invitation to reflect during a critical emotional period. The past week brought the 37th anniversary of my daddy’s death. In early February, it will be three years since the passing of my mom at age 92. Trust me, when your parents die, they are still with you. You’re just carrying them around in different ways. What that looks like keeps changing; yes, even at age 56, I’m still figuring that out now. The Zeitlin parents said that their son’s single toughest challenge in making “Beasts” was portraying the daughter-father relationship without making it come across as abusive. As a survivor of tough love myself, I can say that the movie succeeded! When the lights went on, I went home carrying the message that love — any form of true love — is tough enough to weather storms. Its a miracle of a movie to be sure but the back story of how it was made is even more of a miracle. It shows that encouraging and facilitating kids to dream “the impossible” can sometimes make it very possible indeed. My very wise grandmother once said “the only difference between possible and impossible is Im. Take that out and use to say I’m going to do it and it becomes possible.” I have so often found that to be correct. Toby, so true. Of course, it would help kids to dream if they could see parents who were living out their own dreams, right? Btw, I might add a few more tidbits from their talk in the comments section here. They had so many interesting things to say. One point: Get the Blu-Ray version of the fim. On Amazon, it costs $24.99 compared to $19.96 for the regular DVD. But it gives you a lot more to watch. I can’t wait to see the outtakes. Mom Zeitlin said her son’s heart broke as he ruthlessly edited the film down to about 90 minutes. His goal was to ultimately tell the story from a five-year-old’s view of the world. Everything else was cut out — and why it was removed is in the Blu-Ray version, along with the director’s commentary on the process. Should be a great, great education in the editing process that is valuable for any storyteller or writer. i’m already crying, betty — how am i going to make it through the flick? so sorry you lost your father so early in life. i lost my dad three+ years ago, & i hear you on how the loss doesn’t diminish. … it’s great that you got the message re familial connection before it’s too late, so that neither you nor your daughter should have regrets. wish i hadn’t needed the lesson of my dad’s death to teach me how precious everyone in my life is, how temporary all is! I love that last quote you say..Do you mind if I re-post it to my Facebook? Jamie, I have spent DECADES hating my father. Maybe that’s why the movie made me cry so much. But it felt good. See the movie, girl! You can take it. Woohoo! Actually, you might not cry that much because the anticipation is there. Maybe we cried because we didn’t know that much about the movie before seeing it. No matter what, would love to get your reaction! Thanks for recomending the movie. I may have passed it by while sorting thorough the Red Box selections. One day I will have to go to the Sundance Film befroe it gets too comercialized. My mom was born in Deer Valley, near Park City. I remember in the 80’s hearing they tore the old milk house my mom was born in and sold the property for $4 million. My Granddad had sold the property in 1935 for $400. When I asked grandpa he said he wasn’t diaspointed he got a good deal. It is great to see the world in the eyes of a child. A hard thing to lose and a good thing to get back. Sorry for waitng so long to respond. The money ended before the month. I do my phone and internet on as “pay as you go” I hope I can make it through this month. I took my neighbors daughter shopping for clothes tonight. Wow, girls can sure get excited about clothes!